I trained at Charing Cross Medical School, and underwent specialist training in London, Australia, and at laparoscopic centres in Guildford and at Frimley Park. 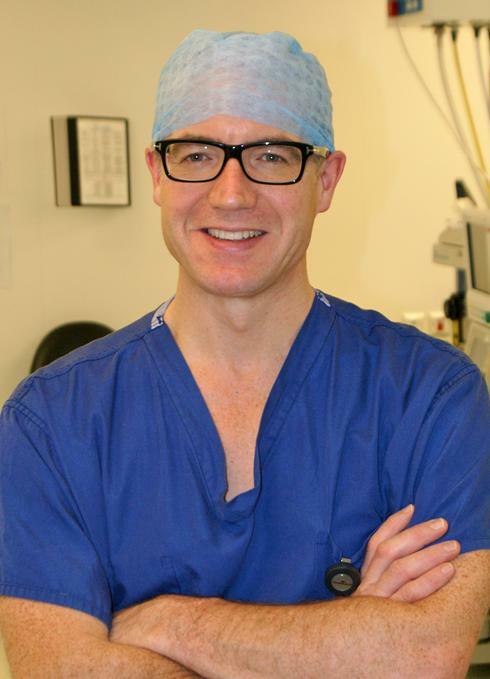 My specialist training was in gastrointestinal surgery, with sub-specialist training in colorectal surgery within the South West Thames region. I undertook a higher degree at the University of Surrey, and was awarded an MD for research into laparoscopic colorectal surgery. At the end of my training, I spent a year in Adelaide, Australia, doing a surgical fellowship (and enjoying the weather). I work as part of an excellent team of surgeons, nurses and other specialists at Frimley . My philosophy is to offer the highest level of care in a friendly, patient-centred manner, working within a multidisciplinary team. This ensures patients are well-supported from initial consultation to diagnosis and treatment, and have the best possible medical care. My NHS practice is based at Frimley Park Hospital [link], recognised by Dr Foster and the CQC as one of the safest and best hospitals in the UK (Hospital of the year for South of England 2013, Runner up Hospital of the year 2012, Dr Foster). I see private patients at the Parkside Suite at Frimley Park, and at Spire Clare Park Hospital near Farnham in Surrey. I am married to Fiona, who is an orthopaedic surgeon, and we have two children. As you can imagine, life is quite busy, but fun! My interests include cycling – both on the road, and mountain-biking; squash; music; bridge; and I enjoy good food, wine, & company! I learnt to kitesurf in Australia, but don’t find much time for it now! My aim is to give all patients the best treatment possible, in a professional, caring and compassionate manner, and with the support of an excellent multidisciplinary team based at Frimley Park Hospital. I ensure that I am up-to-date with the latest treatments and developments within my field, regularly attending national meetings and conferences, and have undertaken research in my areas of specialty interest.